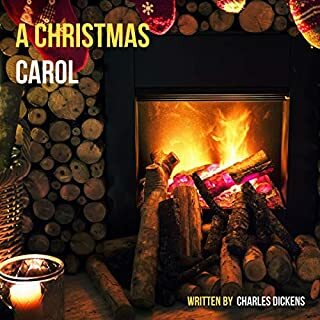 This story tells of sour and stingy Ebenezer Scrooge's ideological, ethical, and emotional transformation after the supernatural visitations of Jacob Marley and the Ghosts of Christmases Past, Present, and Yet to Come. "A Christmas Carol" is a novella by English author Charles Dickens first published by Chapman & Hall on 17 December 1843. 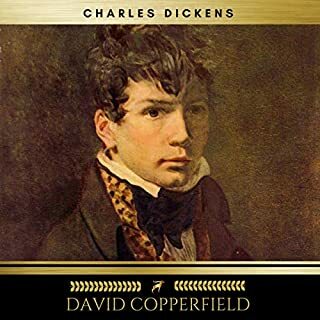 In this, perhaps Dickens' most profound and personal novel, we are invited to share in the sentimental education of Pip, the poor boy from the village forge who risks losing himself in snobbery and selfishness when he mysteriously inherits a fortune. The story moves from the bleak Kentish marshes of Pip's childhood to a thrilling climax that mingles tragedy and triumph. 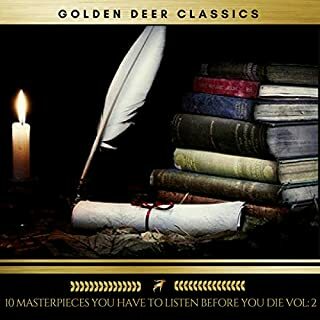 Public Domain (P)1996 Naxos AudioBooks Ltd. I started and abandoned another audiobook of Great Expectations a while back. 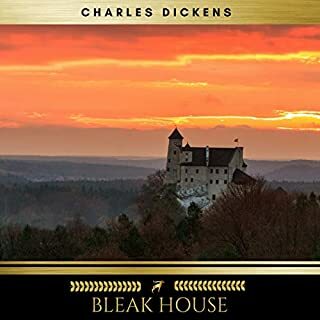 While I found the narration excellent, the beginning of the book, with Pip's terrorizing by the convict and then the abuse by his sister, was just too bleak and intense, and I gave it up. However, I am running out of Dickens, and decided to try Anton Lesser's recording. I am familiar with his acting work on Wolf Hall and Endeavour but had never listened to his narration. It is exquisite. His portrayal of Pip is straightforward, gentle, almost minimalist, very moving, and his voicing of the other characters is varied and marvelous. It was utterly engrossing. Great Expectations does not contain the comic relief that Dickens used in so many novels. There is so much horror and sadness: Mrs. Joe, the convicts, Orlick, Miss Havisham, but there is also love and tenderness: Joe Gargery, Wemmick and his Aged Parent, Biddy. It's a rich and beautifully-written story, and well worth your time. Dickens paints wonderful imagery with his words. What made the experience of listening to Great Expectations the most enjoyable? Anton Lesser is a master of voices and characters. Pip's life lessons parallel many of our own youthful misguidance that only straightens itself out as he actually lives life. Have you listened to any of Anton Lesser’s other performances before? How does this one compare? A superb narration for this classic. What did you love best about Great Expectations? 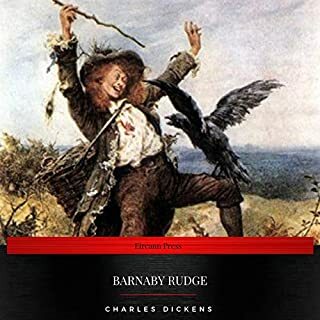 Dickens has always provided characters that are memorable; the narration here has managed to truly bring them to life. Which character – as performed by Anton Lesser – was your favorite? I can't choose a favorite character in this performance--Mr. Lesser caught them all so very well indeed. I was moved as Pip realized just how much his mysterious benefactor had suffered unduly, and as we watch him fully change his attitudes and turn around his expectations both of other and of himself. 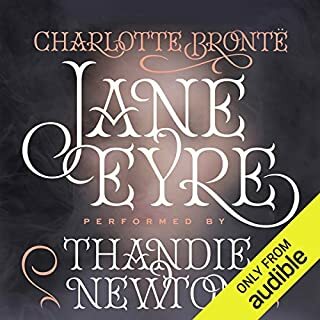 A rendition I most firmly recommend by a superb narrator. I just love Anton Lesser as a narrator. He is an amazing reader, with an incredible knack for creating rich characters with just his voice. On the other hand, I've never cared for Dickens, and his popularity has always been puzzling. This seemed like a good opportunity to see if Mr. Lesser could open the door of Dicken's magic. As always, Mr. Lesser made magic with his voice. These characters will remain with me as rich individuals. But I still don't understand Dickens' popularity, because the story was not engaging in the least - at least, not for me. Instead, I was simply annoyed by the passive and discontented Pip, who is never happy no matter what life gives him. What a Performance by Anton Lesser! All I'll say about the book is that it deserves every bit of its reputation. But Anton Lesser's performance is in my Top Five. Listening to the sample doesn't do him justice, at least I don't remember being blown away by it; I usually like male readers with deeper voices with more gravitas. But Lesser's middle-range voice is full of nuance and unsentimental friendliness. His voices for the characters are vivid without being hammy, and he makes such intelligent choices of where to emphasize (not often) and where to emote (even rarer), the result being a calm performance that is never flat. I was never fatigued by his attack, but also never lost interest. It was brilliant and perfect. If you lean towards dry performances that are nevertheless animated and confident whenever it is called for (the word "effortless" comes to mind), you will likely appreciate this one. 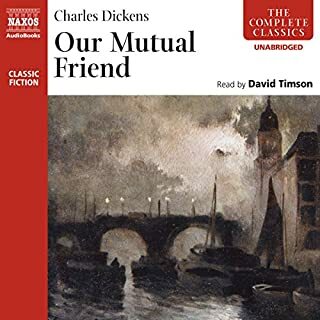 Anton Lesser reads this late novel by Dickens beautifully. He excels in his range of voices and accents. Warmly recommended. There's nothing much that Anton Lesser can't do -- from Hamlet to Homer, his performances are always superlative. 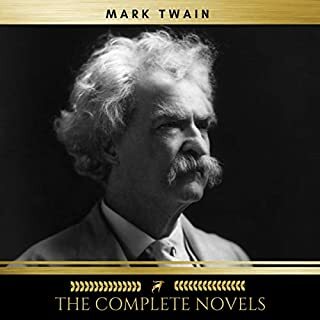 So he's the ideal narrator for Dickens' best novel, the wide range of vivid characters drawing out all the actor's virtuosity. Three minutes in, the convict appears out of nowhere, the listener is gripped by the neck, and this eerie and enthralling story begins to unfold in lifelike colour. 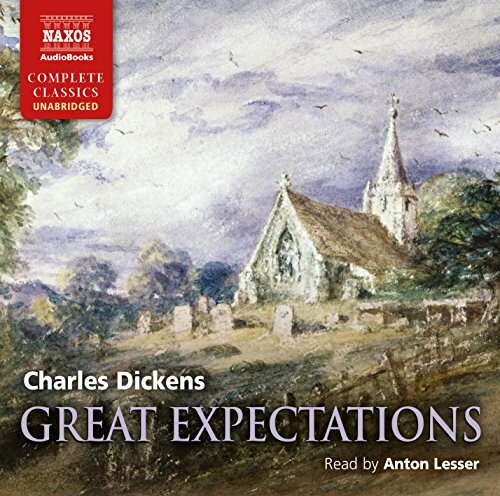 Would you consider the audio edition of Great Expectations to be better than the print version? Yes... the narration is that good. What about Anton Lesser’s performance did you like? His talent for various voices and accents makes the story come alive. I love Anton Lesser’s narrations. 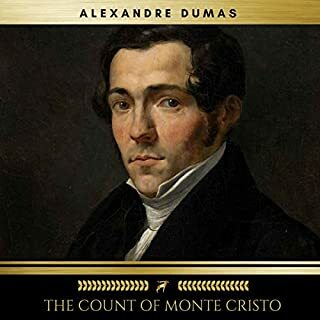 I will look for other books read by him (this is my second). His characterizations are amazing and consistent throughout. The realistic and varied voicings flesh out the character whether they be male, female or young,old or poor, privileged. And don’t forget how great this story is. This was my third time reading it. Good job Charles. Good job Anton. I felt instantly connected with the time and place and the feel of the England portrayed in GE through the wonderful acting/narration of Anton Lesser. 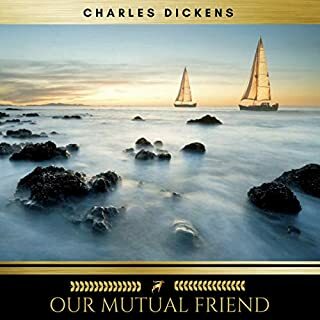 Dickens can be really funny I realized, like laugh out loud funny. Who knew? I would never have been able to flesh out the author’s intentions as well by reading this on my own as I was able to by experiencing Lesser’s interpretation of the characters. Such a pleasure to have access to a narrator the caliber of Lesser, as well as so many others. We are very fortunate. 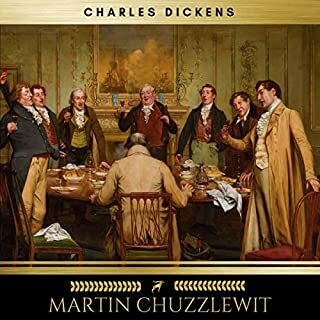 The last time I encountered Dickens was at school (some 40 odd years ago) when our English teacher read Oliver Twist to us and made it come alive. In order to relive this experience I downloaded Great Expectations and was not disappointed. 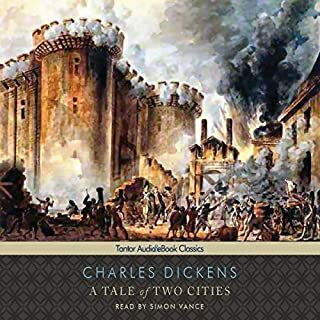 Anton Lesser is an inspired choice as narrator...along with Dickens descriptive talent he made this a magical experience and I want to move on to more of the same. 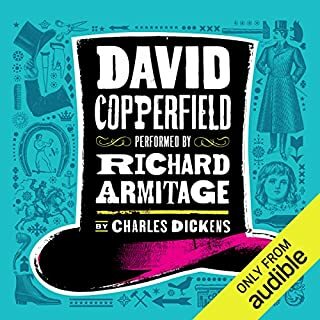 Where does Great Expectations rank among all the audiobooks you’ve listened to so far? Definitely in my top five. The beginning where Magwitch leaps out at Pip - he yells. 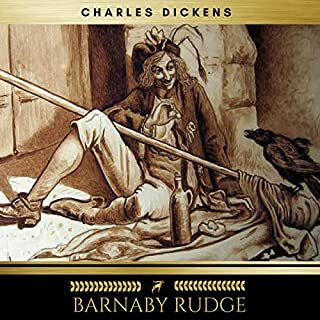 For anyone who wants to start on Dickens, I recommend you choose this book. It's a sudden beginning and you've just got to read until you reach the end. You feel for Pip right the way through, especially in his love for Estella. Since writing the above, I now listen to my Audible books through Alexa and whilst I was listening to this narration I noticed that Pip mentions the Hubbles being surpassively conceited and vainglorious at his sister's funeral. I didn't know what the word vainglorious meant, so I asked Alexa and I found it meant feeling self-important. It's just great to have a dictionary I can call on now at times when I'm unsure what a certain term means whilst listening to a classic with old English language in it. Equal top with other Dickens/Lesser collaborations and some Virginia Woolf / Juliet Stevenson works. Which character – as performed by Anton Lesser – was your favourite? Wemmick, or rather the home and story of Wemmick and the Aged P, is a wonderfully endearing construct. 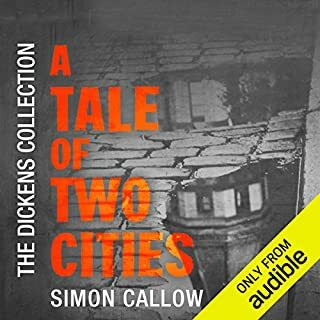 Anton Lesser is brilliant at creating the characters Dickens portrays in this wonderful story – he never falters in bring the imagination to life, making me laugh out loud or shed a tear whilst listening to him on the bus - I will listen to this story over and over again. My great expectation was fulfilled. Thank you Mr Lesser. 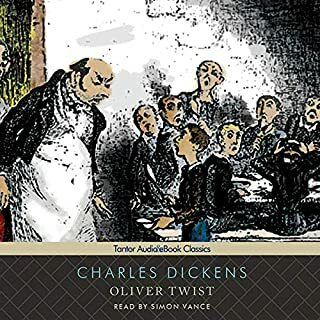 A classic Dickens' novel; the narration by Mr Lesser is especially good (as are all his narrations) with a very good range of voices for the different characters. Highly recommended. Exceptional narration of an exquisite story! Anton Lesser is by far my favourite narrator, every character is brought to life and every chapter is read to absolute perfection. Add a Dickens masterpiece and say no more. I love Anton Lesser reading Dickens. And the novel is a stone-cold classic from beginning to end. I’ve read Great Expectations a couple of times, however this reading has brought a whole new dimension to the story. I hadn’t quite appreciated the beauty of Dickens’ language, the sheer depth of his story telling, and the subtle (and not so subtle) humour. 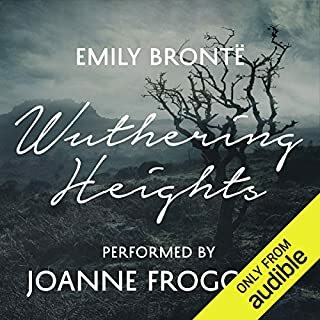 I have got so much more from this audiobook than I thought possible when I chose it as my next ‘listen’. Anton Lesser was outstanding in the way he brought this book to life. He acted, rather than narrated, and each character had its own distinctive presence. He has a wonderful voice which is a pleasure to listen to. 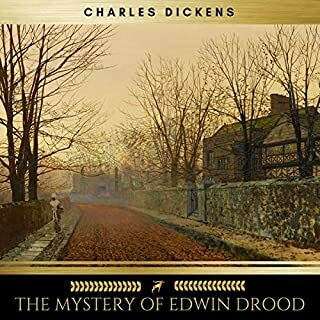 A sublime listen, which has led me to immediately download another Dickens / Anton Lesser combination! !